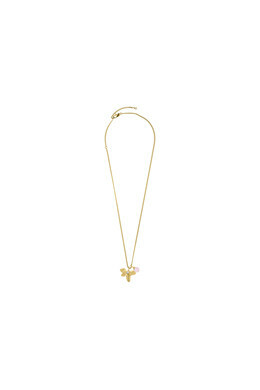 Modern and classy necklace in a mat gold toned finish with a flower shaped pendant. 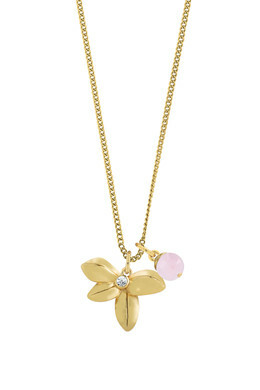 The necklace has a small white crystal set in the flower, and another pendant in semi-precious rose quartz stone. The necklace will give that little extra touch to your day. Chain length is 50 cm + extension. Made with a lobster closure.